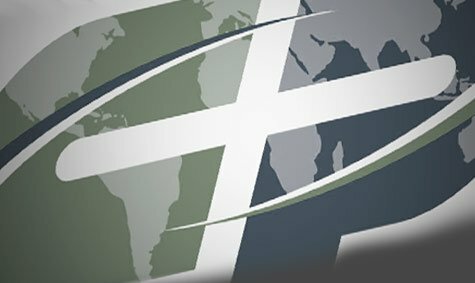 WASHINGTON – One unique distinction held by Southern Baptists is a willingness to work together through the Cooperative Program to spread the gospel. A recent block party here demonstrated how that type of cooperation works at a local level. Joe Murray pastors Great Commission Baptist Church, consisting largely of attendees from a nearby apartment complex. A half-dozen churches and organizations partnered with Murray’s congregation to hold a block party for the people in the complex Aug. 3. When the party ended, three people had given their hearts to Christ and were baptized Aug. 11. In addition, many others were prayed for and gospel seeds were planted. Other pastors involved included Tom Simmons of The Oasis, a church plant in O’Fallon; Matt Bartig of Northroad Community Church, Moscow Mills; Jeremy Plymale of CrossHaven Baptist, a church plant in Wentzville; and Ted Middleton of First Baptist Church, Lewistown. Murray praised Plymale’s “gift of administration” in handling the party details. Middleton said there were 50 workers present from the churches including 20 from First Lewistown. The Missouri Baptist Convention (MBC) funded the party with Cooperative Program dollars. The party included distributions of backpacks and school supplies and the giveaway of several bicycles. Murray worked with Ben Hess, MBC church planting team leader and members of his team in helping organize the event. The block party also included games, bounce houses, and music groups from First Baptist, Washington. The churches also had booths for face painting, clowns, evangelism bracelets, a free meal, and party concessions of snow cones, cotton candy and popcorn. At each tent, the visiting volunteers explained they were there to tell participants about Jesus and encouraged the apartment tenants to attend Great Commission Church. “The cooperation blew me away,” Murray said. Adding to that about 100 adults and children attended. “It was awesome and (amazing to see) the self-denial to do the Kingdom work. That’s a powerful thing,” said Murray, whose church averages 28-30 in their services on Sunday evenings held at First Baptist Washington. A relative of the three saved Aug. 3 was saved himself about a month prior and was also baptized. “I have scores of names, and I expect that number to shoot up. I have names of 38 kids and they have families. That’s what we do – teaching all nations, and we keep teaching them,” said Murray. When Great Commission’s membership hits 70 people, Murray hopes they can start a bus ministry, perhaps later this year, to reach six other large apartment complexes in Washington. Another church has already donated a church van for such a ministry. “We need prayer. We have prayer teams all around the country, but we still need prayer,” Murray said.